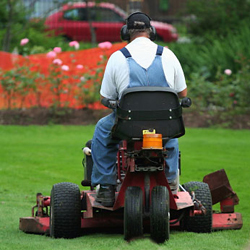 Mowing the yard can be hot, grueling work, but a well-maintained machine can make the job a bit easier. Keeping the lawn mown and tended also gives you healthier, thicker, prettier grass. 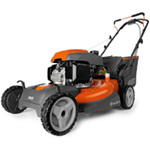 Mowers with sharp blades perform better all around. 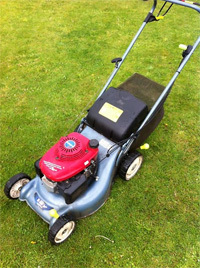 The average mower needs to have its blades sharpened at least once a year. 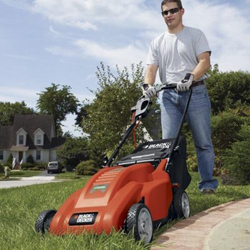 Of course, if the grass in your yard is extra thick or you have to mow more frequently than 30 times a year, it may be better to sharpen the blades more often. 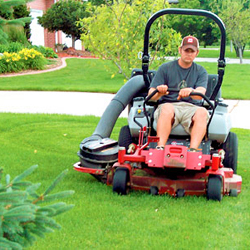 Can you tell a difference with your lawn when the blades aren’t sharp enough? Most certainly. The grass ends will look torn, rough, and brown. Sharp blades also make the mowing and mulching task faster and easier for you, so it’s really to your advantage to stay on top of this task. 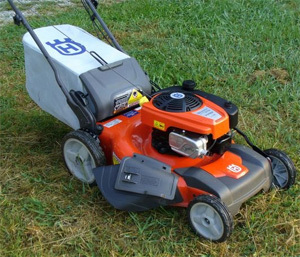 Lawn mowers typically offer adjustable mowing heights. 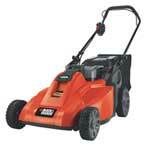 How high to set the mower depends on the type of grass you have in your yard, the season, and the climate. 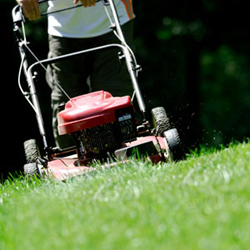 A general rule of thumb: Mow lower in the spring and fall and higher in the summer. In the hot, dry summer months, you want your grass to retain as much moisture as possible without having to water it frequently. By setting a high mower height, the grass should stay lush and green. In the cooler months, you want a shorter cut on the grass because too much moisture could cause fungus to grow. If you’re still unsure how much to trim off your specific grass type, you can’t go wrong with the 1/3 rule—that is, cut only 1/3 of the total grass height, and never more than one inch at a time. Cutting it too short can make the grass turn brown, weak, and weedy, and denies it adequate protection from the sun’s heat. Alternate mowing patterns each time you mow to avoid forming ruts or stripe marks in the grass. Not only will your lawn look prettier, the change in routine will keep a monotonous task from becoming too tedious. 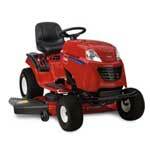 While it’s advantageous to mow when the ground is slightly damp, the mower will clog if the grass is wet. In fact, the whole mowing process will take a lot longer if the grass is wet. Whenever possible, mulch. There’s no sense in letting the valuable nutrients in mulch go to waste; it’s an effective method to keeping your lawn fertile, fresh, and moist. You’ll save money on fertilizer, too. Bagging is necessary at the beginning of the mowing season to clear the yard of debris and weeds. Bagging also works better when the grass is very tall. Attempting to mulch when the grass is high can produce clumps.